London continues to fascinate me. A never-ending flux of new restaurants, bars, cafes and hotels keeps savvy Londoners on their toes and always discovering something different. Near enough everybody considers themselves a ‘foodie’ in this city, but with so many incredible eateries on our doorstep, I’d say we were pretty well qualified. One new concept that I got to try out recently was a progressive dining experience from St James’ Court, A Taj Hotel, which takes diners on a ‘food safari’ through 4 of the hotel’s unique restaurants. Whimsically named ‘Around The World in 80 Tastes’, the dining concept is inspired by Philleas Fogg’s famous journey and showcases the gastronomic diversity of the hotel’s different restaurants. 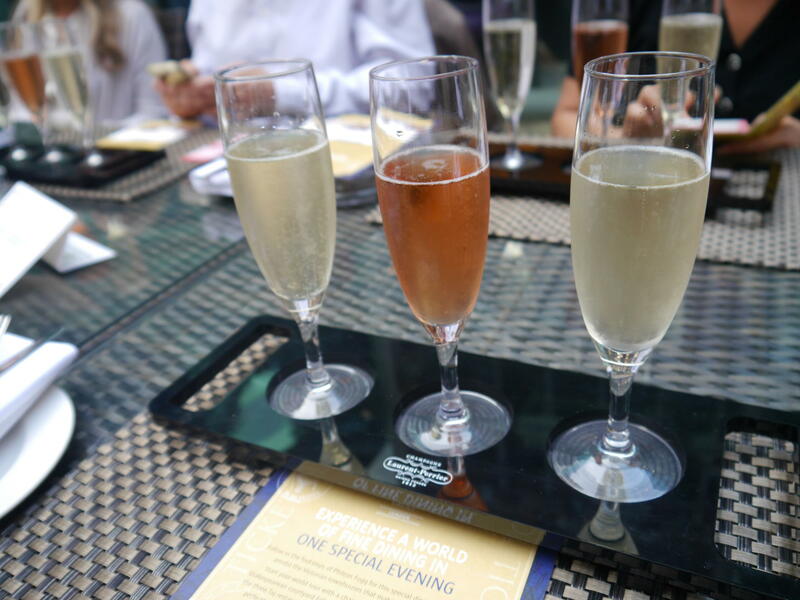 The experience starts how all good journey’s should, with a glass (or 3) of champagne. 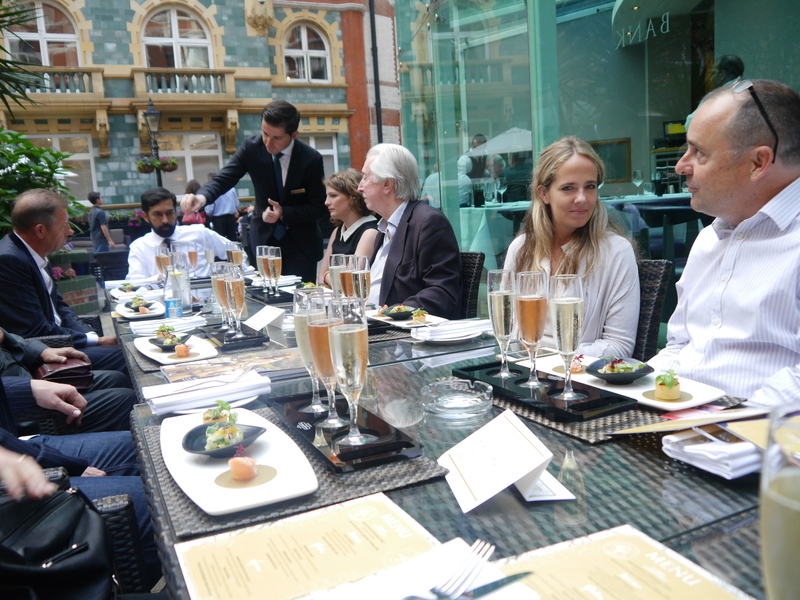 Served outside in the tranquility of St James’ Courtyard, the flight of Laurent Perrier champagnes includes a Brut, Curvee Rose and Vintage 2004 and is served alongside expertly paired canapés. On a sunny day, this place is a stylish little haven which feels a million miles from the hustle and bustle of London. After sampling the champagnes and canapés it was off to the Bistro for a trio of international dishes including Sesame Crusted Tuna with Pink Grapefruit, Stir Fried Chicken with Bell Pepper and Beetroot Gazpacho with Feta Crumble. The starters come with an expertly matched white wine, Fleurie les Granits Rose 2012. This course is good, but it’s nothing compared to what’s to come. 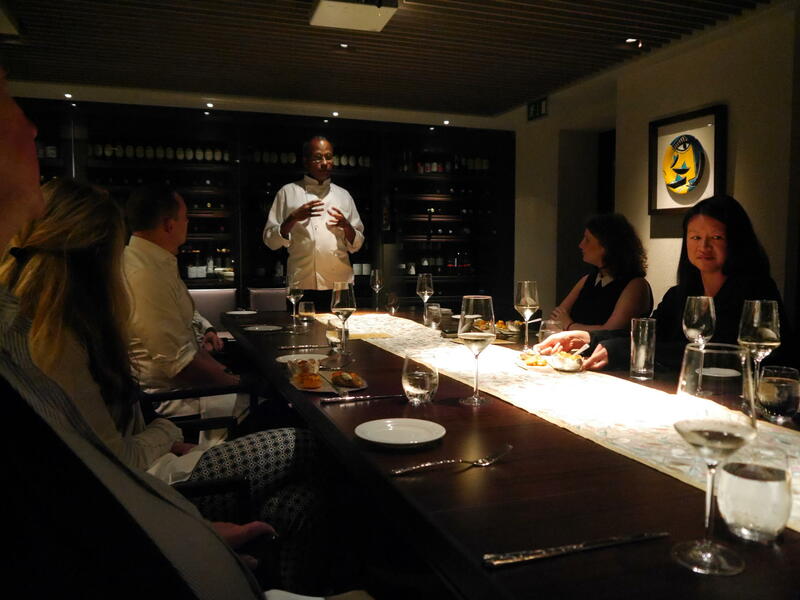 The highlight of the culinary journey is a course in the private dining room of Michelin-starred Indian restaurant Quilon. 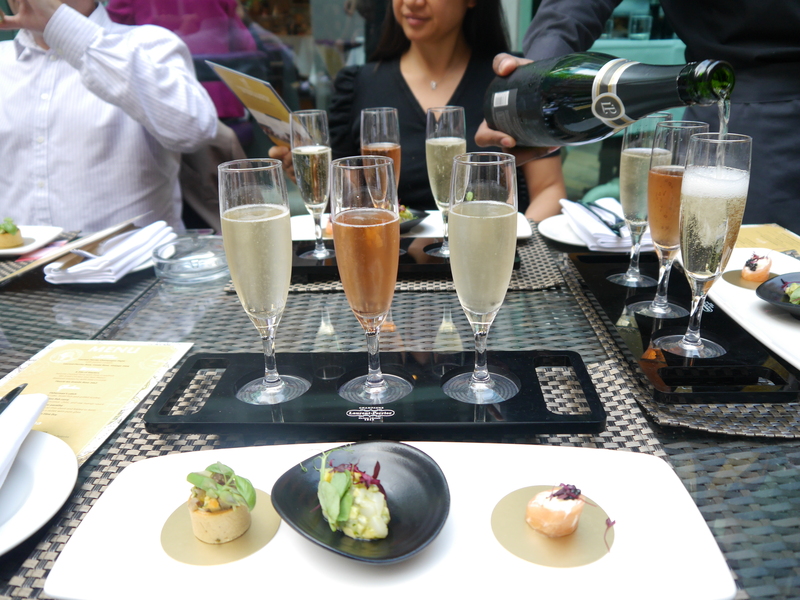 Quilon is firmly fixed as one of the top fine-dining Indian restaurants in London, so it’s fantastic that you get to sample some of the menu’s most popular dishes as part of the food tour. 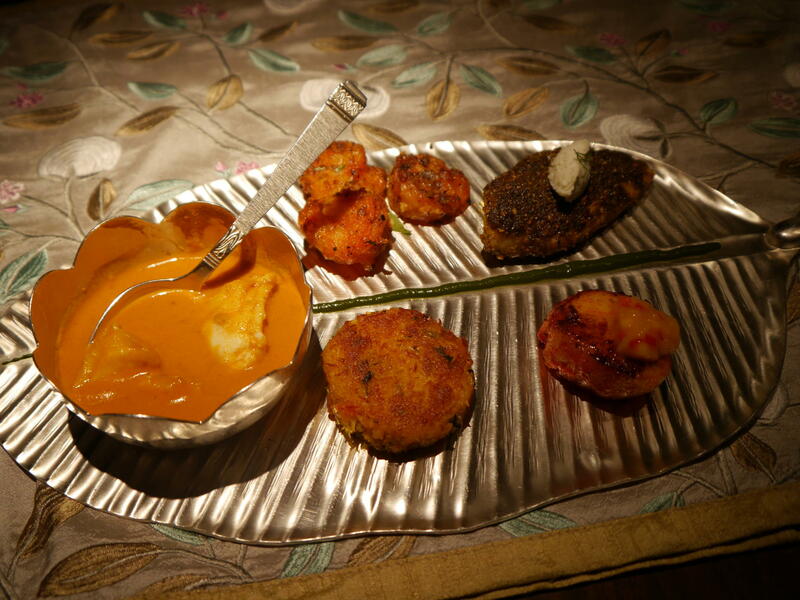 An individual selection of seafood treats are served on an elaborate silver leaf plate including scallops, prawns, fishcake and the signature Quilon fish curry. The flavours of each bite were sublime and this was by far the best course of the evening . Served on the side was the most delicious paratha which is a type of Indian bread that is freshly cooked on a skillet with pure ghee. Never mind the carbs, this course was my idea of heaven! The selection of seafood was introduced by Executive Chef Sriram Aylur himself, further adding to the experiential foodie theme. Sampling this dish was definitely enough to make me return to Quilon for a full meal. I can’t wait to go back. Our final stop of the night was at Kona, which is located within Taj 51 Buckingham Gate Suites and Residences. 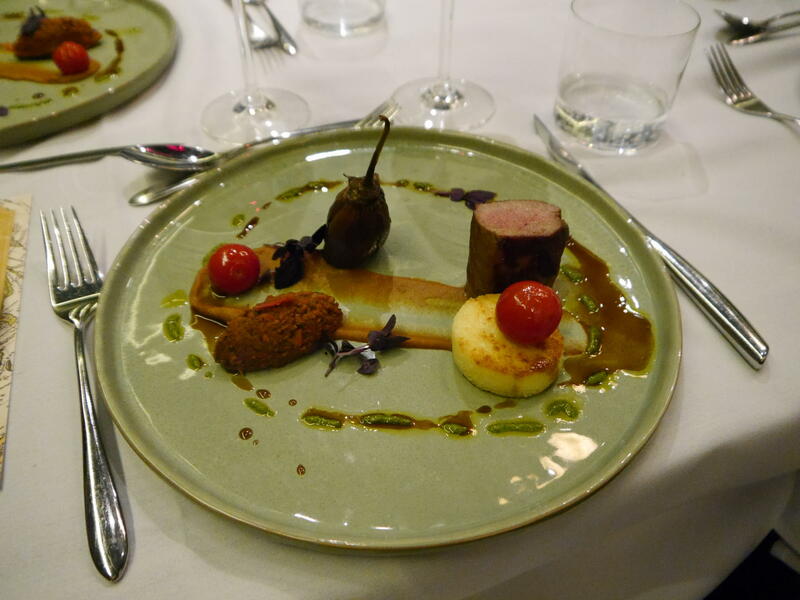 Here we were treated to a final savoury course of Signature Sussex Lamb two ways. The lamb came on Aubergine Caviar with Polenta Wild Roquette Pesto and Confit Eggplant. The meat was soft and succulent and served with a deliciously bodied red wine – Albarino Davila Bodegas Adegas Valminor. I had to write that one down! To round up our gastronomic adventure was the desert platter. As you can image after all that food, I didn’t have much room left. By this point I couldn’t even fathom another course, but when the desert platter was placed in front of me I miraculously made some room! 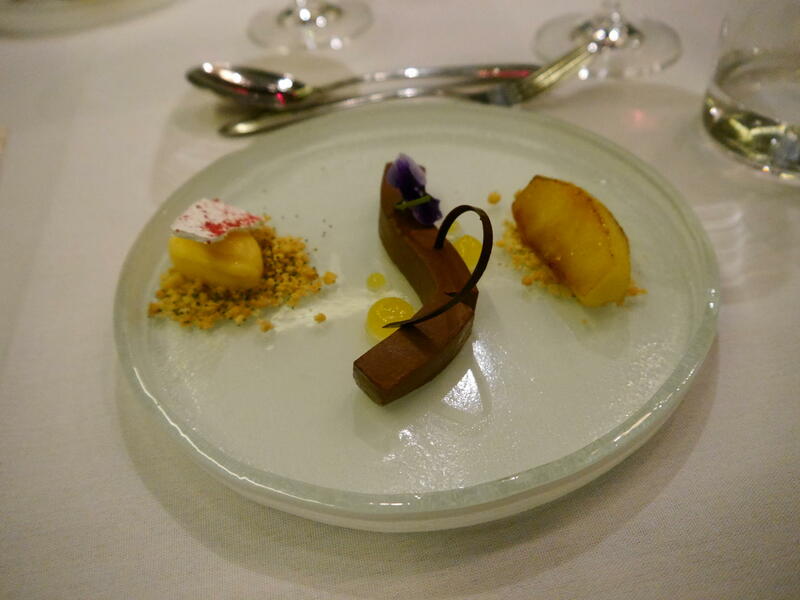 The harmonising trio included Calvados Marinated Apple on a Walnut and Pecan Crumble, Malleable Chocolate Ganache and Deconstructed Lemon Meringue Pie and Poppy Streusel. The combination was surprisingly light and gave a lovely sweet taste to round off a spectacular dining experience. I think Around The World in 80 Tastes is a unique dining concept that also makes for a perfect introduction to St James’ Court, A Taj Hotel. I have lived in London for nearly 3 years and this was my very first time visiting this beautiful and iconic hotel. The concept delivers a diverse gastronomic experience that is like nothing else I have seen in London. This experience was provided to me on a complimentary basis as part of a press hospitality evening. This is actually right around the corner from where I live. Can you believe I’ve lived here nearly ten years and never tried Quilon! I’m glad you had fun lovely, can’t wait to meet you tomorrow.